The NObreath® FeNO monitor is a handheld, battery powered, fully portable device that can determine the amount of nitric oxide (NO) exhaled in a person’s breath, often referred to as fractional exhaled nitric oxide (FeNO). 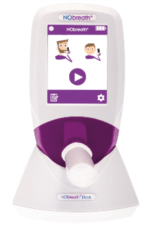 FeNO is used as a biomarker of eosinophilic airway inflammation, as a means to detect and manage various respiratory diseases, especially asthma, which according to Asthma UK, affects more than 5 million adults and children in the UK1. The recent challenge for Bedfont® Scientific Ltd. has been to get healthcare professionals to implement FeNO testing in general practice. The goal is to cement the NObreath® FeNO monitor as device that can meet all end users’ requirements, while providing an easy solution for physicians to monitor and diagnose many respiratory conditions. 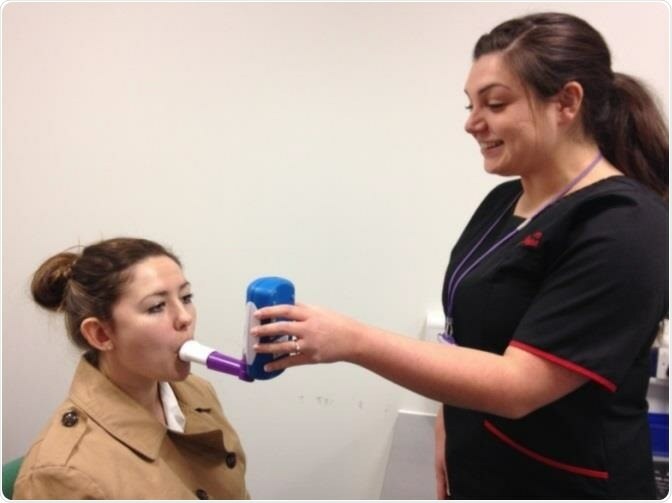 At the University Hospital Llandough, Wales, the Respiratory Unit used the NObreath® FeNO breath monitor to complete 300 tests over a period of five months. In respiratory clinics, FeNO testing serves as an important tool helping consultants both in the diagnosis and differentiation of many respiratory disorders to manage and monitor the patient’s treatment regimen. Bedfont® responded by providing a monitor that combines intelligent design and high-quality technology with accessibility and ease of use. Lois Penhaligan, specialist respiratory physiologist at the University Hospital Llandough. In addition, the NObreath® FeNO testing has considerably enhanced the clinical service at the Llandough respiratory clinic. A respiratory physiologist demonstrating the NObreath® FeNO monitor with a student. It is very quick at analysing the breath sample. It has an incentive for the patient to look at during the exhalation in the form of the ball bearing, which helps the patient to gauge the strength of their blow. It is very lightweight and portable meaning it can be moved into different testing rooms with ease. The only downside I feel is that sometimes the mouthpieces are very stiff to get on and will slide off before the patient has put their mouth around or during the test which causes a leak. The ease of pushing on the mouthpiece varies between mouthpieces. A tight seal needs to be achieved between the NObreath® flow and the mouthpiece. It can be easier to join the mouthpiece and the flow together before being inserted into the front of the NObreath® monitor. The aim for the future is to use the NObreath® and FeNO testing to assist respiratory health care professionals, in both primary and secondary care, toward support of their routine decisions in patient diagnosis and respiratory disorder treatment. 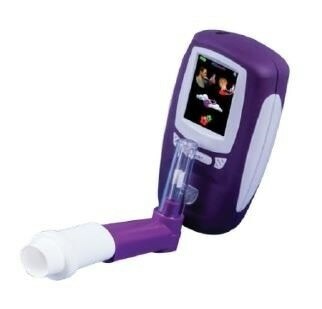 continue to use the NObreath® as an important departmental equipment tool to helping the process to ascertain both the diagnosis and severity of individual patient’s condition as instructed clinically for our patients by our lead consultant physicians. Paul Thomas, the head of department and senior chief respiratory physiologist at the Lung Function Laboratory at University of Llandough Hospital, endorsed and agreed the case study work carried out by Lois Penhalighan. Asthma UK, Asthma facts and statistics. (2017). https://www.asthma.org.uk/about/media/facts-and-statistics/ [accessed 3 January 2017].